I love the cover and the book blurb sounds great! Thanks for the chance! This sounds absolutely fantastic and I love the title. I can’t wait to read it. Your books always have the best covers and this one does not disappoint. Awesome! Can’t wait for it! 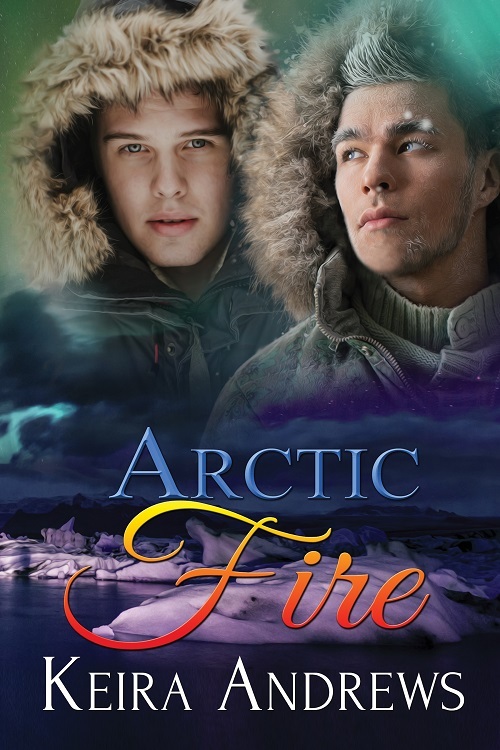 Well since it’s dipping into the 20’s here in Alaska I think a book with Arctic in the title should be required reading! Congrats on the new(ish) release, I look forward to reading it. The cover is super and I love the blurb. Can’t wait to read it. OMG. I’m reading Reading the signs right now and loving but the more of Miss Andrews writing the better. I love the cover and the blurb. Can’t wait. Thank you for the chance. I am so excited for this! Cannot wait until it’s released! Can’t wait to read it, love the cover. You know I love everything you write! Excited to see you have something new! YAY! The cover is gorgeous and I can’t wait to read it! Ohhhh Can’t wait to read it ! Thank you for the giveaway Keira ! Oooh! I can’t wait to read this, giveaway or no. I always love seeing new books from you! I can’t wait to read it!!! Thanks for the chance!! Beyond The Sea is one of my favorite books! I can’t wait to read this because I already know you do stranded together stories so very well!! Can’t wait to read this, sounds like a great story! Looks like another few evenings of curling up by the fireplace are calling. Can’t wait! Amazing cover and the synopsis sounds awesome. Cover looks amazing and synopsis sounds amazing. Cover is fabulous! Can’t wait to read it! Love that cover! I’ve got this one on my wish list now 🙂 Looking forward to reading this…and thank you for the chance to win! Omg! That cover is fabulous! I can’t wait to read it !! I love your books and I would really like to read this. Thanks for the chance! The cover reminds me of the Northern Lights. I can’t wait to read it. Beautiful Cover! And the story sounds great! Thanks for the chance. It sounds great. This looks great! Can’t wait to read it! Sounds like an amazing story!! Can’t wait to read it. Will add to a TBR. Beautiful cover! Can’t wait to read it!